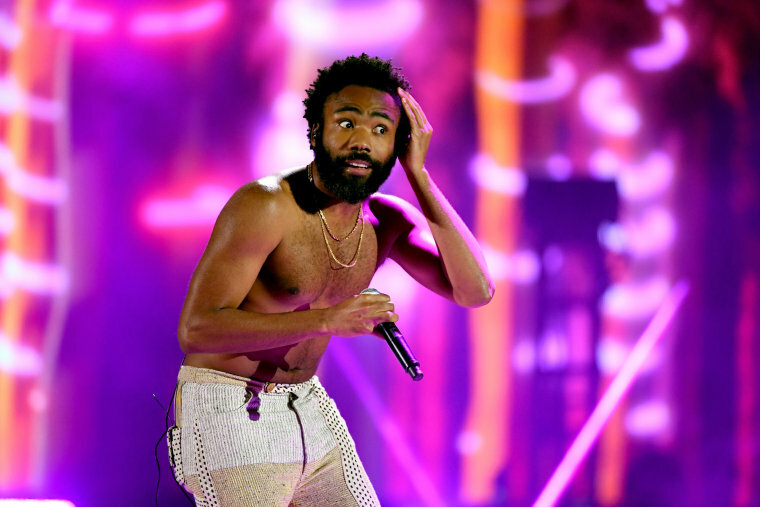 Rapper Childish Gambino's "This is America", about police brutality and racism, won the first big award - song of the year - as well as best music video, and best rap performance. Critics may carp about the Grammy Awards themselves going to bland, middle-of-the-road acts instead of trailblazers, but Grammy red carpet fashion is usually wilder and more fun to gawk at then the self-consciously chic finery stars sport to the Golden Globes, Oscars, Emmys and more. Cuban-born Camila Cabello kicked off the televised show with a dance heavy performance of her hit single "Havana" with Latin artists J Balvin, Ricky Martin and Young Thug. Emily Lazar, one of the engineers who worked on the album and won alongside Beck, said onstage that she was the first female mastering engineer to win in the latter category. The soundtrack was produced by Lamar and includes performances by Lamar, Travis Scott, The Weeknd, 2 Chainz and more. Yolanda Adams, Fantasia and Andra Day will honor the late Aretha Franklin with a performance.